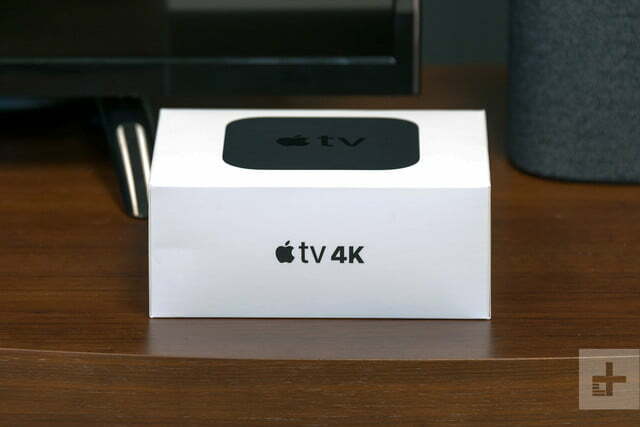 The Apple TV 4K is Apple’s answer to all of the other 4K streamers that came before it from the likes of Roku, Amazon, and Google Chromecast. It got off to a bit of a rough start: Our initial review deducted some points for the device’s unfortunate habit of getting stuck in HDR mode. The problem was resolved with the release of tvOS 11.2, and we’ve updated our score to reflect this. The Apple TV 4K is still not perfect, and it’s much pricier than similarly appointed devices now on the market, like Roku’s Streaming Stick+. This little black box does a few key things better than its competition, however, especially if you’re a heavy Apple user. Follow below to see if the Apple TV 4K is right for you. 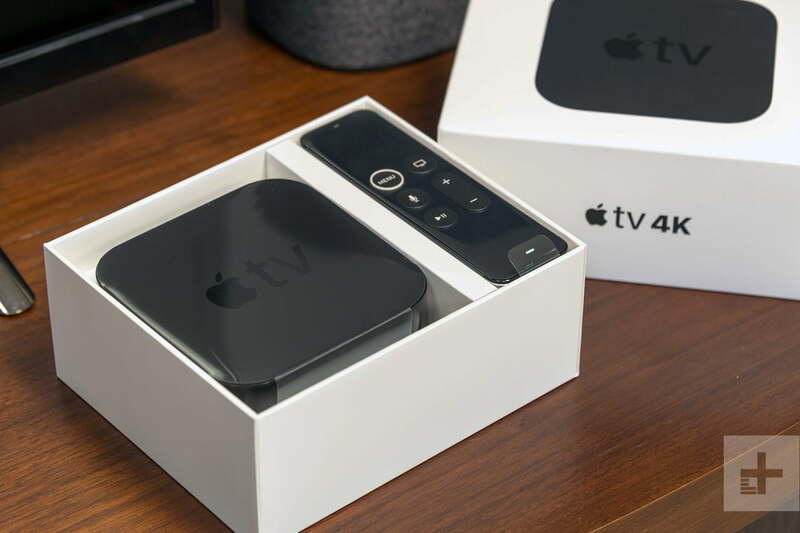 Apple wrote the rule book for the out-of-box experience, and the Apple TV 4K packaging proves the company is still the master in this regard. From the heavy-gauge cardboard, to the tidy cable management, to the premium look and feel of the box and remote, everything about the Apple 4K TV screams “premium,” including the $180 price tag. For that sum, you get a streaming device that feels like loving care and attention was put into its design. Most streamers are made of plastic, sure, but Apple’s is visibly superior. The remote feels great too – it sits in your hand just right, and makes you want to swipe that touchpad up top. Aside from the Apple TV 4K, its power cable, and its remote, you’ll also get a lightning cable to charge said remote and a quick-start guide comprising all of three sentences. That’s all you need because setup couldn’t get any simpler. If you own a relatively recent iOS device (sorry iPad 2 owners, you are excluded here), then you are already set to experience the slickest setup process we’ve seen from a set-top box yet. After selecting language and country, simply hold your iPhone or iPad near the Apple TV 4K, and a few clicks later your Wi-Fi information and Apple ID will have been copied over. Instantly, all of your iTunes purchases – music, TV shows, movies – will be available through your new Apple TV 4K. Bonus if you are a third- or fourth-generation Apple TV owner who stores device settings in the cloud: Your tvOS layout will automatically be synced so your new streamer will look almost exactly like your old one – only better. If you don’t own an iPhone or iPad, you’ll soon learn that you won’t be getting the very best the Apple TV 4K has to offer. As is to be expected, the more invested you are in Apple’s universe, the more bonuses and amenities you’ll enjoy. Still, once you’ve manually connected to your Wi-Fi router (or, better yet, connect an Ethernet cable for a better overall experience), you’ll find there are plenty of treats in store. Either way, your Apple TV 4K is going to be set up in no time at all. 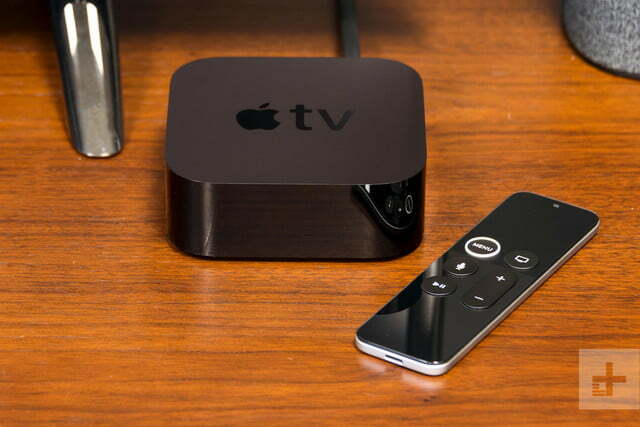 If this is your first Apple TV, or if you don’t store your tvOS setting in the cloud, you’ll find Netflix, Hulu, and many of the other usual suspects are not pre-installed, so you’ll need to go fetch them. Amazon has also added Amazon Video to the app store, but bear in mind its less graphically-rich than other apps, and lags behind the versions found on other streaming devices. Apple does make things a little easier for Pay TV subscribers by gathering provider information, then automatically downloading the streaming apps users can take advantage of with their paid TV subscription. You’ll also need to log into all your apps, which is the most tedious process involved with setting up any streaming box or smart TV. 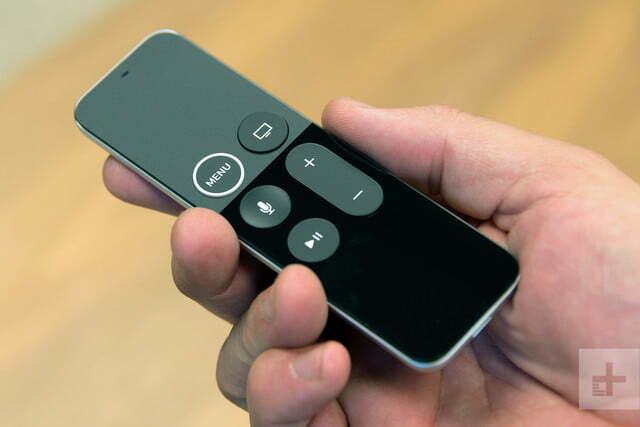 Apple makes it easier by allowing iOS users to use the Apple TV Remote app to key in usernames and passwords, or by using Siri to speak the letters and numbers aloud and have them transcribed. Both methods are infinitely less hassle than hunting and pecking your way through a virtual keyboard, though that option is available, too. Apple has always put an emphasis on user experience (known in the tech sphere as “UX,” because acronyms), which has resulted in catchphrases like “it just works,” along with products that earn a reputation as being easy for everyone to use. The Apple TV 4K is rich in UX, and the conveniences and thoughtful features run deep. There’s also a wealth of apps for Apple’s set-top device. We can’t discuss them all here, but we’ll touch on those we feel are the most notable. Most folks are familiar with Apple’s digital assistant already, but Siri in the Apple TV 4K is especially helpful. Ask Siri “What should I watch tonight?” and a menu of suggested films and shows will appear on the lower third of the screen, with all recommendations handpicked daily by editors to showcase what’s buzzworthy. Double tap the Home button on the remote and you’ll see the apps you’ve used most recently, allowing you to seamlessly switch between apps without having to go all the way back to the Home screen. Move your most-used apps to the top row of the Home screen for faster access. For example, add Netflix to your mix, and when the icon is selected, shortcuts to Netflix titles appear above. Just click a title to start watching. Easily organize apps on the Apple TV with folders. If you highlight a title in Up Next, press and hold, and you’ll get quick shortcuts like marking an episode as watched. You can add any iTunes movie to your Up Next queue using Siri just by saying “Add this to Up Next” on the movie page. Press the Play button on any title in Watch Now to start playing instantly. Ask Siri to “Play TVShowX” from your Up Next list to continue binge watching. One of Siri’s most helpful applications is finding stuff you want to watch — more specifically, finding 4K and HDR content you can watch. Siri’s search results are not as exclusive as they once were. Apple could have restricted search results to iTunes offerings, but the Apple TV 4K now shows if the TV show or movie you want to watch is available outside of iTunes. Search for Orange is the New Black, and you’ll have the option to buy or rent through iTunes, or watch it for free on Netflix (provided you have a Netflix subscription, of course.) You’ll get similar returns from a search for The Handmaid’s Tale, which you can watch through iTunes, but is available free with a Hulu subscription. What’s more, a narrow search for a specific movie title or a more targeted search for movies starring certain actors returns a long list of results from numerous streaming sources. We tried searching for “movies starring Charlize Theron,” and there were certainly many we could only get through iTunes, but there were several available from other streaming services to which we are subscribed. We even searched for “4K movies on Netflix” and were delighted when the Apple TV 4K showed us a long list of titles we could start watching in 4K. If you miss a piece of dialogue, ask Siri, “what did they say?” and she’ll back the video up 15 seconds and turn on subtitles for that period. You can also ask Siri to skip ahead or forward for a specific amount of time instead of using the reverse or fast-forward buttons. The Apple TV 4K’s layout is intuitive, particularly for previous Apple TV users — what’s new with the Apple TV 4K is how beautiful it looks. The 4K rendering of the Apple TV’s menu screens is bright and high in resolution – a real treat for the eyes. The Apple TV 4K makes it clear whether 4K with HDR is available for the content you’re watching, which is more than can be said for some of its competition. Ratings for TV shows and movies are also plentiful, sourced from multiple outlets like Rotten Tomatoes. You can also learn more about the cast and crew of your favorite flicks and TV shows by clicking on actors’ profile picture. This is like Amazon’s X-Ray feature, but more beautifully implemented. 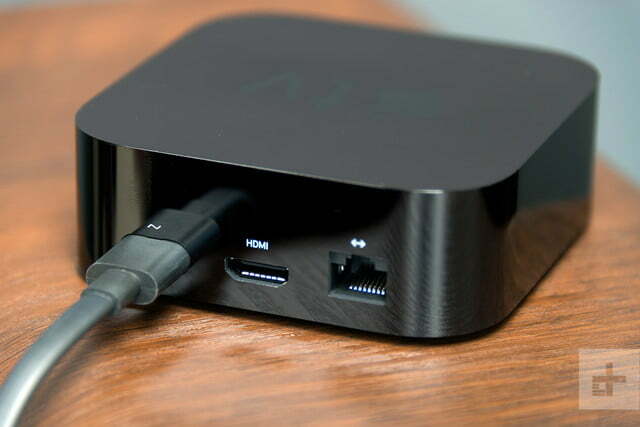 The Apple TV 4K is fast, thanks to the A10X Fusion processor under the hood. If your internet connection can keep up, load times are lightning quick, info screens appear instantly when clicked on, and even scrolling through long ribbons of titles is remarkably smooth and speedy. In HDR modes, the picture quality on the Apple TV 4K is outstanding. the 4K content in Dolby Vision and HDR10 looks beautiful, especially from movies on iTunes. Most SDR (Standard Dynamic Range) content also looks very good. When the product was first released, as noted above, it suffered greatly from a technical glitch where it would get stuck in HDR mode, creating all manner of display problems for SDR content. Thankfully, tvOS 11.2 fixed that bug, and now everything works as it should. The update even dealt with our other big reservation over picture quality: It used to convert 24 frame-per-second films to 60 frames per second before delivering it to the TV, and there was no way to disable it. Now, there’s an option to “match content” for both audio and video in the settings, which we recommend you use. A major addition to Apple TV 4K that came in 2018 with tvOS 12 was support for Dolby Atmos, the leading home surround sound format. Though not fully compatible with all apps (Plex, for instance, can handle Dolby Atmos but only if the source is Dolby Digital Plus, not Dolby TrueHD), this was a big win for home theater owners with Dolby Atmos sound systems. Here’s how to know if you’re actually getting Dolby Atmos on your Apple TV 4K. 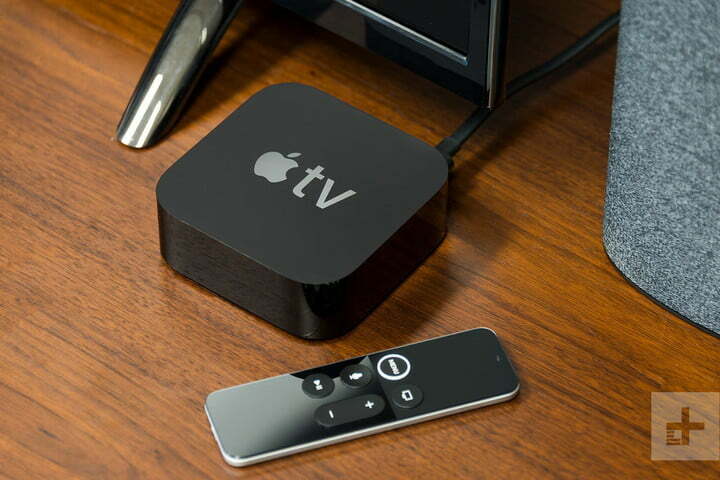 There was a time when owning an Apple TV was the only way to use AirPlay to do screen mirroring or content casting from an iOS device to your TV. It was also the only way to access iTunes movies and TV shows. But times have changed, and these once-exclusive features are starting to show up embedded into the latest generation of smart TVs. At CES 2019, a slew of companies announced models that support AirPlay 2 — the latest version of the wireless audio and video standard — and Samsung revealed it had been chosen by Apple to be the first TV manufacturer to offer iTunes content too. Given the level of app support some of these smart TVs already have (via Android TV and LG’s WebOS for instance), there are fewer and fewer reasons to spend almost $200 on a new Apple TV 4K. It’s also worth noting that these changes likely signal a growing willingness on Apple’s part to make its services (like iTunes, and Apple Music) available directly on third-party devices. If that’s indeed the case, the much-rumored upcoming Apple streaming video service may not require an Apple TV set-top box either. The Apple TV 4K warranty provided by Apple protects against product defects for one year from purchase. Apple also offers an extended AppleCare Protection Plan warranty. 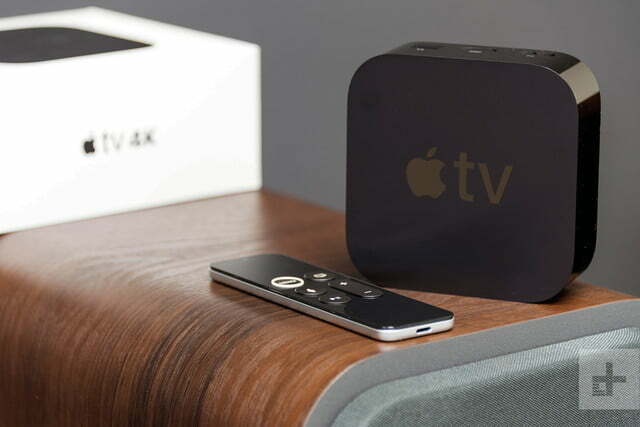 The Apple TV 4K is a zippy, slick device with Apple’s unique design stamp all over it. 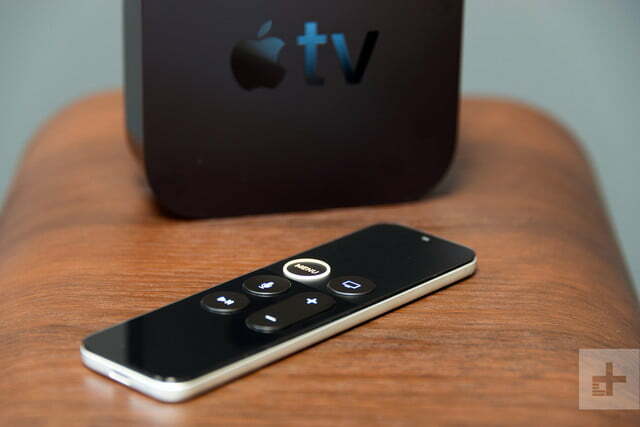 Those deeply embedded in the Apple universe will be tickled with the way the streaming set-top box integrates with other Apple devices, as well as with Siri integration that offers convenient search and voice controls. For Apple power users, the Apple 4K TV is a perfect fit. For anyone else, devices like Roku’s Streaming Stick+ and Premiere+ or even Amazon’s Fire TV Stick 4K offer a lot more value for the money, with gobs of their own useful features not found in the Apple TV 4K. With the A10X Fusion processor inside, the Apple TV 4K will last for as long as Apple wants it to. Future firmware updates should keep the device relevant, and the build quality is rock-solid. Do buy the Apple TV 4K if you are heavily invested in the Apple universe and/or have a large library of movies, TV shows, and music from the iTunes store. Don’t buy the Apple TV 4K if you’re just looking to get 4K HDR content through an easy-to-use device priced well under $100. Updated on February 21, 2019: This review has been updated to reflect Apple’s tvOS 11.2 fix of both the HDR and framerate issues that plagued the product at launch.